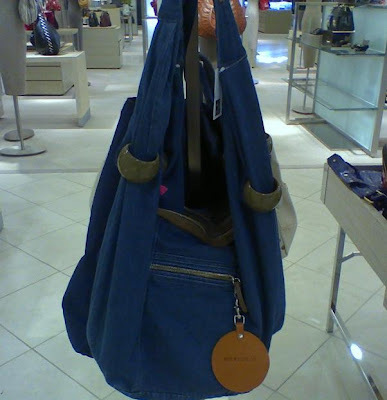 The first thing that came to mind when I saw this Chloe denim hobo was it looked very similar to Jimmy Choo Saba hobo, except a lot more casual and definitely savvier in price. It was the 2 rings on both sides that triggered such thought. Of course being a savvy shopper, I had to give this a try myself. The hobo is very soft and Boho chic. The drop handle is about 16 inches long therefore I can wear the bag crossbody. After putting it on crossbody, top of the bag is about 2 inches above my waist. I doubt I will wear it this way. The handle is too short, at least for me. I prefer a longer strap so the bag will hit about my hip area. This way, a gal can achieve that effortless casual look. I like the Saba, but for $2450, I think I can find something else to replace my affection. For that price, I better love and adore the bag. Although I do like the See by Chloe Ring hobo, I am not sure if I want to pay $495 for a casual denim bag. I think I can find something similar for less. But then again, if it's a Chanel denim tote for the same price, I may not even give the $500 price tag a second thought before purchasing it so I'll just shut up. This particular style also comes in leather. Although I like the idea of leather, I still prefer the denim. 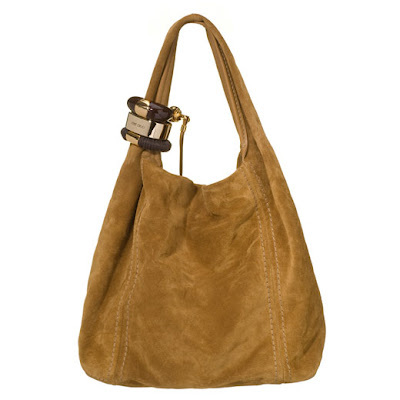 The leather Ring Hobo retails for $595. The measurement is 15.5 inch x 12.5 inch x 5 inch so there is plenty of room for storage. What do you think of this See by Chloe Ring hobo? Pretty cute...but for $100 more, I'd go for the leather for sure! I love these. But I must confess, the second one is my favorite. I've almost bought that Chloe bag about 4 times now ...something always stops me but I still like it really. I love all of them but the last one is definitely my favorite. I really do love the design, but a tad too expensive for what it is. You could easily get another amazing bag that you would probably use more often for the same price. I like the denim hobo but it is a little pricey for the material. oooo, I love Chloe bags. P.S. I've added you to my favorites list! I usually have a preference for hobo bags. I can stuff them full! But I would be like you and be a savvy shopper. I'm searching for a tiny close to the body travel organizer right now. too much money for denim! and i love the suede one! Love the leather hobo! 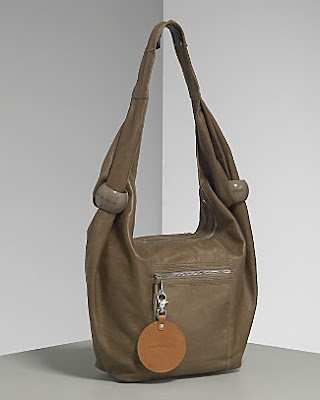 Slouchy bags are so casual-chic. Cute cute CUTE! I worked for Kate Spade for a minute and am still up to my eyeballs with bags... the discount was INSANE. I feel guilty buying new bags when I have so many I don't use... but those are CUTE! PS Thank you SO much for your encouragement on my blog!!!! The Chloe bag is amazing! cuteee!!! but why the price so expensive??? I love hobos.. the bags! !